SKU: WS391-9X12. 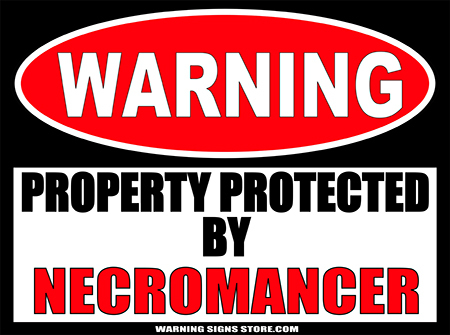 Categories: Funny Signs, gaming/geekism, Novelty Signs, Political, Warning Signs. Tags: Skynet, Warning Signs. 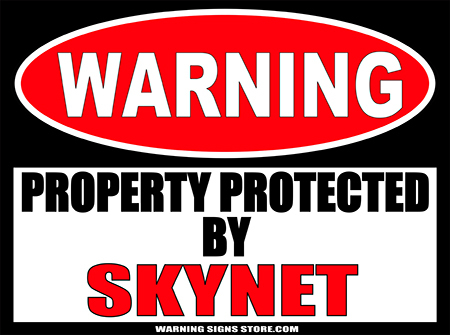 We don’t know how safe you will with Skynet guarding your property, but we think all your electronics will be just fine! Either way, this poster-sized sticker sign will cover both! How about that? It’s like two for the price of one!